Last year, India’s leading food delivery app had made headlines like ‘Swiggy lost Rs 1.5 for every Re 1 it earned [in FY17]’. But the Bangalore-based startup shouldered on, and its perseverance has paid off big time – yesterday it raised USD 100 million in its Series F funding from Naspers, a global internet and entertainment group, and new investor Meituan-Dianping, world’s largest on-demand delivery platform. This is Swiggy’s largest round yet and takes the total amount it has raised to USD 255 million. “As India’s leading food ordering and delivery platform with a network of thousands of restaurants and millions of users, Swiggy has become part of consumers’ everyday lives. We want to continue to bring convenience, choice and reliability to our users as we fulfil our mission of ‘Changing the Way India Eats’,” said Sriharsha Majety, Chief Executive Officer of Swiggy. The deal is likely to have valued the four-year-old venture at about USD 600-650 million before the investment, sources told The Economic Times. 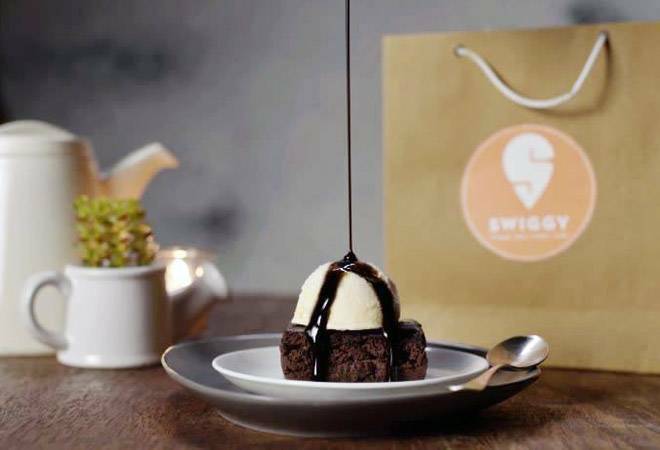 That means that Swiggy’s valuation has jumped up at least 50 per cent since its previous round of funding in May 2017, when Naspers along with existing investors coughed up USD 80 million. While that mainly went into market expansion – it currently operates in 10 cities – and acquiring 48East, a gourmet Indian food startup, Majety said that the latest funding will be invested in “building differentiated offerings, plugging the white spaces in the ecosystem, and developing our technology while keeping superlative customer experience at the core”. Swiggy, owned and operated by Bundl Technologies Pvt. Ltd, is reportedly also keen to further expand New Supply, its supply chain business that includes Swiggy Access. The latter basically offers select restaurants access to plug-and-play kitchen space in different parts of the city so that they can expand to brand-new areas. “Swiggy has continued strong growth through 2017 and now has a clear lead in the market,” said Larry Illg the chief executive of Naspers Ventures, in a statement. In fact, the startup’s revenues have shot up by a record 500 per cent in the last financial year and order volumes have nearly doubled since its last funding round. “The company’s performance is all the more impressive given the intense competition we see in the food ordering and delivery business in India,” added Illg. The turnaround in the food-tech space has been impressive. Badly singed in 2015, when several startups including Tiny Owl were forced to shut shop, followed by a rough year of consolidation and correction, this sector is now red-hot. According to a report from RedSeer Consulting, India’s online food ordering sector has seen the number of daily orders growing consistently at 15 per cent on a quarterly basis from January to September last year. It’s going to get better still. Just last week, Zomato Media Pvt Ltd made it to the unicorn club having raised USD 200 million from Ant Financial Services Group. Also vying for slices of the pie is Ola, which has recently acquired Foodpanda’s India business, and UberEATS.